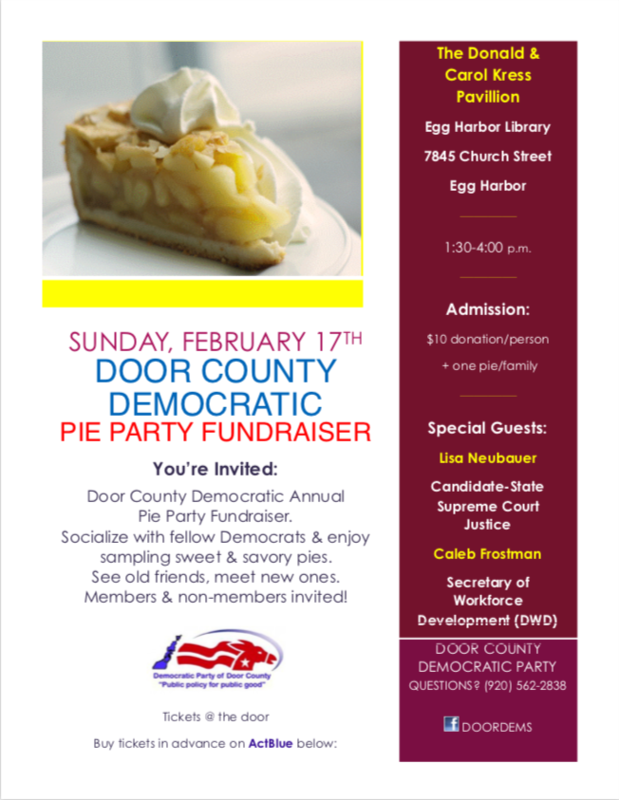 Come to the Kress Pavilion in Egg Harbor Sunday Feb. 17 at 1:30. Meet Judge Lisa Neubauer, candidate for Wisocnsin State Supreme Court in April. Hear from our own Caleb Frostman about plans for the State Department of Workforce Development. Mingle with like minded folks. Copyright © 2019 Democratic Party of Door Cty, All rights reserved.